When you approach your business at the beginning of each workday, it’s likely that you have other stuff on your mind. If something bad happened at home, you’re probably thinking about that. If you’re concerned about what your day ahead is going to look like — whether it’s dealing with customer or inventory issues — you’ll be thinking about that. 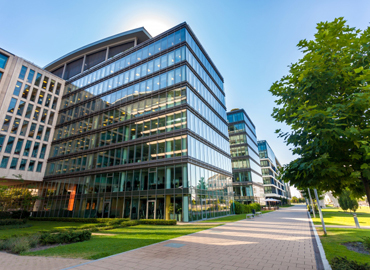 You’re probably not thinking about the last time your commercial lawn care service was there to handle your lawn fertilizing and weed control. The fact is, neither are your customers. They’re not passing your nice green lawn and thinking “what lush grass, this company must spend a lot of money to keep it looking so nice.” No, they’re walking past it while on their phones, more interested in what’s on the screen than that each and every blade of grass looks nice. Or if they’re off their phone, they’re thinking about getting ready to interact with your business, whether they’re buying tires or a burger. So if a customer won’t notice the look of your Dallas, Fort Worth, or Plano lawn, what’s the point? Well, we said that they weren’t thinking about your lawn, not that they weren’t going to notice it. The fact is, customers will subconsciously notice the state of your lawn even if they don’t know it. When they walk on your sidewalk and pass your green grass, they feel that everything is as it should be. Even if they don’t consciously notice when your lawn looks good, it likely that they will notice when your lawn looks bad. They’re accustomed to seeing the benefits of commercial lawn care…it’s the default, if you will. But when a lawn is dead, or patchy, or full of weeds, they’re really going to notice it. If they would think to themselves “good for this business saving water,” or “it’s nice that they don’t feel the need to use weed killer,” that would be nice. But in fact, a weedless, green lawn has simply become the standard in this day and age. 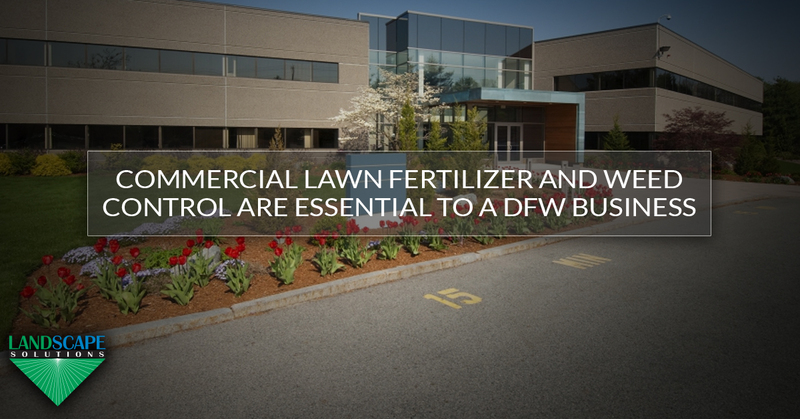 To put it bluntly, your lawn in the DFW area is a reflection of your business. If a customer notices something wrong with your lawn, they’re going to think that there’s something wrong with your business. If you don’t care about your own lawn, do you really care about your customers and the products you sell or the service you offer? Top-notch commercial lawn care is a must. Customers want to see a green lawn, but the Dallas/Fort Worth area isn’t exactly the wettest place in the country. It’s important to preserve the water we have, but it can be hard to do that and to keep a green lawn. The solution is a smart irrigation system. As we discussed in this blog, the right irrigation system can save you a lot of water (and money) because it’s delivering the proper amount of water at the right time of day. 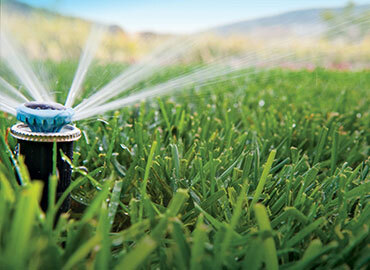 You can have a green lawn and be water conscious at the same time. Read more about it right here. Using fertilizer is a much more exact science than most people realize. First of all, the right type of fertilizer has to be used in the right season. While Dallas Fort Worth doesn’t get a harsh winter like the northern part of the country, there are times when the grass wants to reach a dormant state. Of course, the right amount of fertilizer is also important. Use too little and not enough of the grass is getting the extra food. Use too much and it can receive a chemical burn. At Landscape Solutions, we know just the right fertilizer to use, when to use it, and how much to apply. It’s difficult to keep a weed-free lawn. Grass seed might claim to be 99.9-percent weed free, but guess what that other 0.1 percent is. Of course, many weeds can blow in as seeds, or deep root systems on certain weeds can make it difficult to eradicate them once and for all. Much as it is with fertilizer, commercial weed control has to be taken very seriously in order to address the weeds at hand. You want to make your customers feel good about your lawn, and our commercial Lawn Care Service can make it happen. 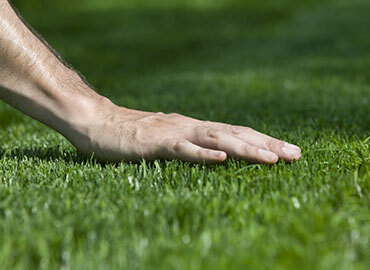 Contact Landscape Solutions for the lawn care you’re looking for.